Today, an en banc majority – or is it a plurality? – held that an Alleyne error at Jermel Lewis’s sentencing was not harmless. Previously, a divided panel had come out the other way (Fisher and Chagares majority, Rendell dissent) — link to my post on the panel opinion is here, link to my recent analysis of the court’s en banc cases here. A concurring opinion would have held that the error was structural so that proof of harm should not be required, while a dissent argued that the error was harmless because the defense at trial and sentencing did not contest the underlying factual issue. a dissent by Fisher, joined by Chagares and Hardiman. Fisher’s dissent refers to the lead opinion, prominently and repeatedly, as “the plurality.” But Smith refers to the lead opinion throughout as “the majority.” If the 4 judges who joined Smith opinion also joined the lead opinion, then the lead opinion was a majority (10 of 13). The fact that Smith’s opinion was identified as “concurring,” not “concurring in the judgment,” suggests that’s the case, as does the fact that the Smith opinion calls the lead opinion a majority opinion. But the dissenters have a point: in substance, it looks to me like the Smith 4 agree with Rendell on the outcome but reject her rationale, and also Smith never expressly says that he is joining the lead opinion. Without the Smith 4, the lead opinion would indeed be only a plurality (6 of 13). Majority or plurality? I’m not sure. Does it matter? 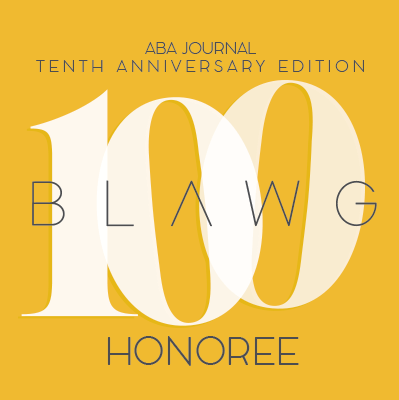 Do en banc pluralities bind future panels? Or does the Third Circuit follow Supreme Court practice, where the outcome-joining opinion resting on the narrowest ground is the one that is precedential? If so, is that Rendell’s or Smith’s? I’m not sure of the answers to these questions offhand, either. It’s unfortunate the court left this sort of confusion by failing to set straight who joined what. Another interesting feature of the case is that, according to the dissent’s footnote 1, the rationale adopted by the lead opinion was one advanced not by the defendant, but by an en banc amicus. (The amicus is Amachi, Inc., a religious child-mentoring program started by former Philadelphia Mayor Goode, represented by a big-firm associate.) Fisher expresses concern that this “allows defendants to take the tack most expedient at any point in their appeal.” I doubt it: what sane appellate counsel would make strategy choices based on such far-fetched contingencies? CA3 grants rehearing in about 1 out of 1000 decided cases, and the odds of amicus jumping in for you in an en banc are lower still. However, I do suspect that Amachi’s visible victory here may well embolden future interested parties to get involved as en banc amici, which strikes me as a good thing. Arguing counsel were Paul Hetznecker for Lewis, Robert Zauzmer for the government, and Michael Addis of Cravath for amicus. The court decided an ERISA case today. McKee was joined by Hardiman and Scirica. Arguing counsel were Thomas Hart for the appellant and Susan Hoffman for the appellee. This entry was posted in Cases on September 16, 2015 by Matthew Stiegler. Board of Trustees will be my new go-to opinion for illustrating the sheer awfulness of substantive ERISA law. What’s stranger is that C.J. McKee, as the presiding member of the panel, apparently assigned himself the opinion. Among the privileges of assigning opinions is surely the power to get ERISA decisions like this one as far away from your person as humanly possible. True enough. My co-clerks and I would do rock-paper-scissors to see who had to write the bench memo each time an ERISA case appeared in chambers. No en banc “what’s the holding” brainbuster will ever beat US v. Bazzano (appeal of Mollica), 712 F.2d 826 (3d Cir. 1983) (en banc) (per curiam). Per curiam memorandum announces the judgment of the 10-member court. Nine of the ten judges would reverse and remand for one reason or another, but there is no majority to reverse for any one reason or remand for any one purpose. Therefore, the judgment is affirmed! Petition for second round of consideration en banc denied. In Lewis, I believe that the lead (Rendell) opinion must honestly be recognized as a plurality not a majority opinion. None of the concurring judges ever says, after opining that the error was structural, that the govt has failed in any event to prove the constitutional error in Lewis’s sentence to be harmless beyond a reasonable doubt. So there is no majority. The narrowest ground that commands a majority, I would say, is that error occurred at sentencing, the error was of constitutional dimension, and that error violated Lewis’s substantial rights under Rule 52(a). This is so even though there is no majority of judges that agrees why the violation was substantial (some say it is because the error was not harmless and some because it was structural). Peter, I lean towards the view that it’s a majority, on more formalistic grounds. I would say that a lead opinion is joined by any participating judge who did not affirmatively say otherwise, and the Smith 4 did not affirmatively say otherwise. Clearly the judges who said nothing count as votes for Rendell’s opinion, and I think the same is true of the judges who said they were concurring and would decide it on a different basis. I do see the force of your position, and I’m not free from doubt, but that’s my take. For another “en banc brainbuster,” I’d refer to Boyd v. Warden, 579 F.3d 330 (2009). It comes with a helpful en banc that kinda sorta explains who decided what. My guess is that what happened is that one or more of the concurring judges (Jordan seems the natural suspect) agreed that the error was structural but did not agree that it was harmless and thus were unwilling to sign off on an opinion that purported to join Rendell’s. In other words, the lack of clarity may have been the product of compromise rather than oversight. Again, that’s not based on any inside skinny, just my speculation.